If it can be BOUGHT or SOLD… You can earn a commission on it! If you join us, you’re not limited to selling Austin homes or land. You can sell Austin commercial property, existing businesses, domain names, copyrights, trademarks or business assets. Our Motto: “If You Catch a Big Fish just bring it home and we’ll help you skin it, gut it, filet it, cook it and we’ll both eat it!” We can help you negotiate any contract for the sale or purchase of anything that can be bought or sold (except securities). Then Dan Castro can prepare the contracts and help you close the deal. 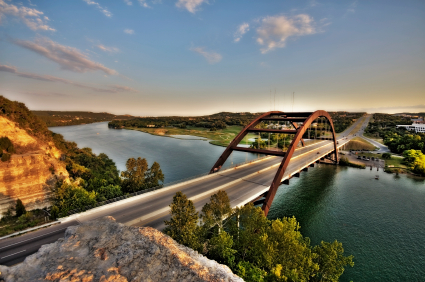 We have the best Austin home buyer & seller lead generation training program in Texas. We teach you how to weed, plant, cultivate and harvest the leads and referrals that will follow you for the rest of your life. Co-owner, Rose Castro is a Certified Mentor/Trainer in the Brian Buffini “100 Days to Greatness” system, which is a 14 week program. We have an exhaustive in-house Austin real estate contracts training program taught by a full-time practicing attorney, Dan Castro. You will receive a huge black binder of Texas Real Estate Commission contracts and forms that you will highlight and annotate with things that only a practicing lawyer can teach you. This will become your CONTRACTS BIBLE forever! The training also includes senior agents training new agents to do listing presentations, competitive market analysis, uploading listings to the MLS, etc. Also included in the training program are tutorials by loan officers, escrow officers, building inspectors, surveyors, etc. We can handle all of your closings in-house. Because the law firm of Castro & Baker, LLP has agreements with most title companies in the Greater Austin area, which allows us to close all of your Austin real estate deals. Because of this, we can monitor every deal as it progresses and fix problems quickly as they come up. We are the only brokerage in Austin that offers new agents leads. To jump start your business (once you prove yourself in training!) Because we are Austin Options Realty, we get leads from all over the country! You will start at a very generous 70/30 split on clients that you bring in. We are family owned and operated. We have a warm, friendly atmosphere where everyone helps everyone else. When you finish our training, you will already be better trained than 90% of the Austin Realtors out there! Our goal is to make sure you are closing deals inside the first 100 days! We are a family and we take care of each other. Take the first step in starting your Austin real estate career TODAY and call Dan Castro at (512)250-9882. Or, fill out your information below to send us an email.